Just another successful day of sniping. 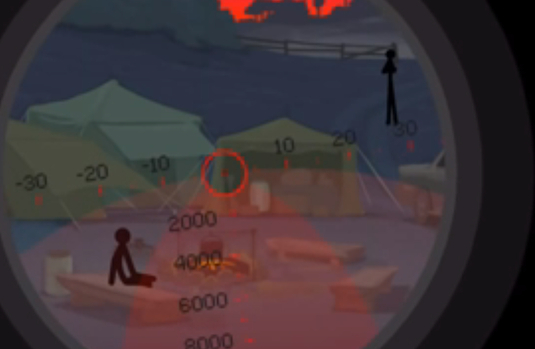 Clear Vision 3 is one of those stress relief games where you take out your frustrations on a number of targets using your sniper rifle. There are some adjustments that need to be made with wind and trajectory, but once your target is in your sights, it's a real pleasure to take 'em out and clean up the cash. With this in mind, here's a walkthrough for missions 31-35. 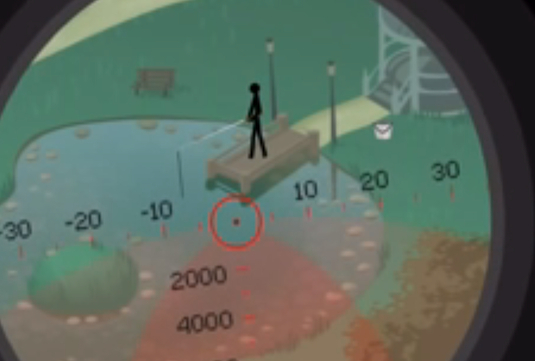 Your latest target will be standing around in the park, doing a little fishing. There's another guy on the scene, but your main one is on the dock. You may need to adjust for distance a bit, since he's far away. 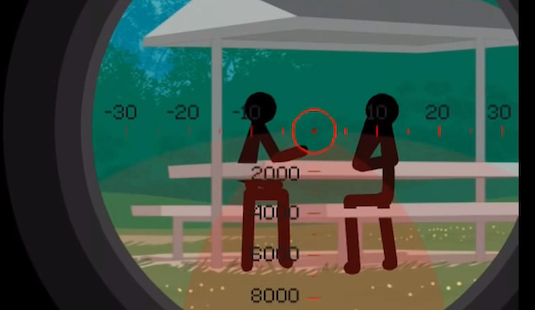 Just pay attention to the reading that appears on your scope and adjust with the numbers on it. Once you're lined up, take the shot and he'll be sleeping with the fishes. Your latest client will hire you as back-up for when he goes to meet someone in the junkyard. Really, though, you're just going to wipe out his cohort so he can steal the goods. Your target will be on the right hand side, as he's the guy not holding the briefcase. Line him up with a simple headshot and take him out. Your client will then grab his stuff and you'll be set with the reward money. This mission's one of the more difficult ones, as you're called upon to eliminate a gang of drug-dealing thugs from a nearby neighborhood. 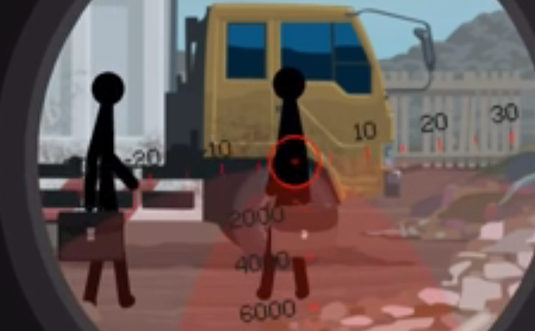 You'll have three targets in all, but luckily, they won't be startled by gunfire. 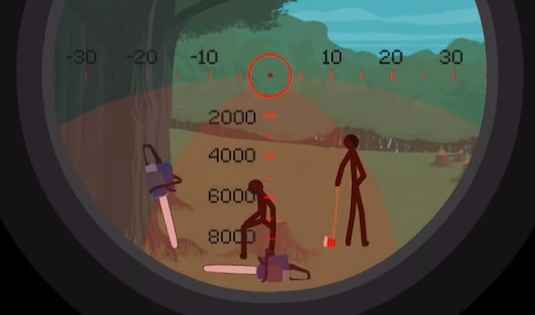 Adjust for distance, then take out the guy in the sleeping bag in the front. From there, look to the truck on the right, make adjustments and take out the guy next to it. Finally, put a bullet in the head of the one way off in the back after properly maintaining your distance. Be accurate with your shots, though. Otherwise, they will get away. Paige is sick and tired of all the visitors coming to the park, so she wants you to create some ruckus to clear it out. There are three targets in all, one over by the playset on the left and two folks talking on the bench to the right. You can choose whichever ones work for you, but the guy on the playset moves the least. Paul is a real environmentalist, as he's trying to protect an old forest on the outskirts of town. He asks you to create an "accident" to stall its destruction. You'll see two guys standing around on the bottom with some chainsaws near them. Never mind those, though. Focus on the big branch above these guys and take your shot where it's connected to the main tree. It'll break off and crush them.